To create Project Avalon, Asus worked with case designer In-Win. The case essentially looks like an extra-large cubical mini-ITX PC case. The design makes upgrading and building a PC remarkably easy, as several components that typically need to be screwed into the system just need to be pushed into place. All of the hard drive connectors are placed on one side of the case in hot-swap drive bays, allowing you to quickly and easily install drives while the PC is in use. Connecting the power supply to the system is considerably easier with the Project Avalon design. There is a slot on the outside of the case that allows you to push the PSU into place, and it uses a new primary connector that plugs into the motherboard and combines the functions of the old 24-pin motherboard power connector and the 4/8-pin CPU power cable into a single plug. All of the SATA power connectors are also routed through this new interface. There are still a few cables that you would need to connect inside of the PC, such as the PCIe power connections, but this still helps simplify the PSU installation process. The new form factor was key to Asus’ more astounding development of Project Avalon: a fully modular motherboard. With this design, the motherboard is segmented into four primary modules. 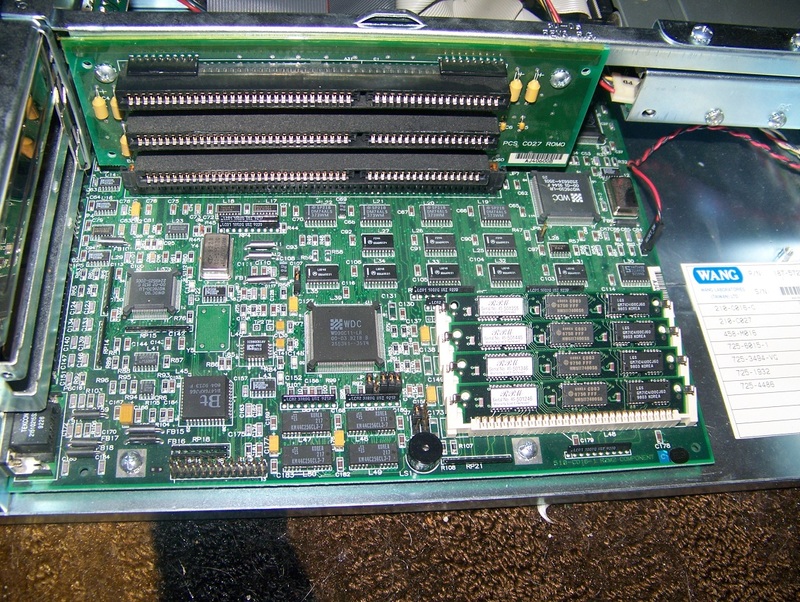 On one primary module are the CPU socket, RAM slots, the system’s power regulation hardware, and the connections necessary to interface with the other modules. 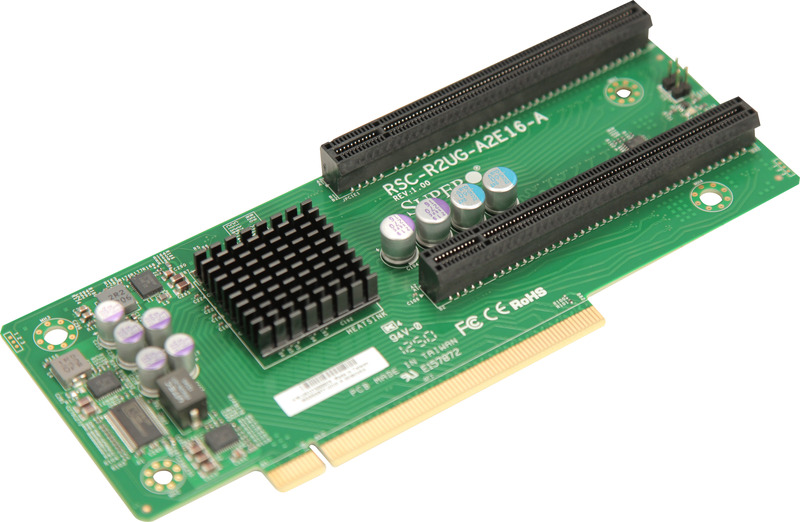 An add-on card module has slots for PCIe and M.2 devices. We asked Asus how the motherboard knows how many HSIO lanes to relegate to each device, and a product manager said that it currently uses a fairly simple solution: Instead of placing an overabundance of slots on the motherboard that technically require more HSIO lanes than are available from the chipset, Asus routed all of the lanes to specific pins. For example, if this were done with a Z170 chipset, there would be a total of 20 HSIO/PCIe lanes available from the chipset. 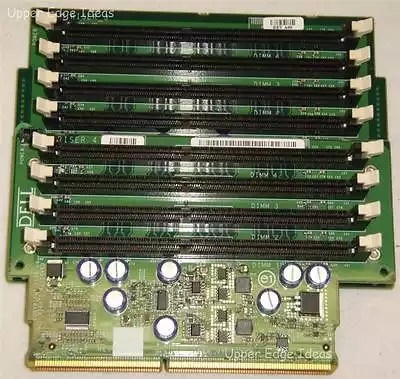 There would be a few pins on each module's interface that are relegated to each HSIO/PCIe lane, and then each PCIe slot just connects to however many pins it needs to have an x1/x4/x8/x16 connection. This implementation works, but there are some serious limitations. For example, the third module that Asus created is a rear I/O module that can offer an M.2 connector. In order to enable this, Asus must have routed a few PCIe lanes to this module, which means the add-on card module has a few HSIO/PCIe lanes permanently routed away from it. The rear I/O module also contains the audio chipset, and it can include third-party chipsets for other devices such as USB 3.1 Gen 2. A few lanes will also be lost to devices routed permanently onto the primary module alongside the CPU. The SATA ports, which are installed on another module, also permanently route a few lanes away from the PCIe devices. 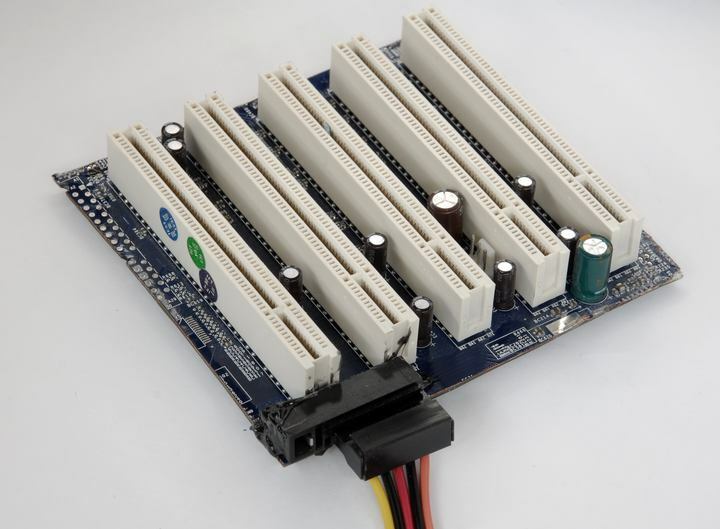 It should be noted that installing SATA devices will also be easier with this design, as all of the required power is routed through the motherboard and into this module with the SATA connectors. These, too, will consume a few lanes. Overall, unless the BIOS can auto-detect devices and intelligently route lanes to ports and devices, this modular design doesn’t solve the HSIO connectivity issue, but it is still an interesting step in the right direction. Currently, Project Avalon is only a proof of concept; it's not quite ready for consumers, and Asus doesn't have a timeline for when it might come to market. We'll be curious to see how Asus continues to develop Project Avalon--for example, there are other partners besides InWin working with Asus on it. More interesting will be how the company's competitors respond. The modular motherboard gauntlet has been dropped. wow, pc of the future. Can't wait for it to be ready for market. Its like travelling back in time to when you had to buy sound cards and IO cards separately. Hope they could make both budget and server grade modular motherboards, that would just make troubleshooting a lot easier. Hot-swap disks & power supplies are nothing new. It's standard in servers, and not uncommon in PC-based workstations. It just adds a lot of cost for a little convenience and wow-factor. Do we know whether the case will work with standard ATX power supplies via some kind of adapter, or would this case limit you to PSUs designed specifically for it? Not that I'd buy one, either way. Just curious how much compatibility people would be sacrificing for the premium price they'd surely have to pay. Project Ara for a PC DIY enthusiast! I like! Absolutely nonsensical idea. I have no idea what the target market is. It's incredibly ugly to boot. They are going for some kind of home theater look with 80s styling, but the whole thing just looks awkward and bulky. Absolutely nonsensical idea. I have no idea what the target market is. It's incredibly ugly to boot. They are going for some kind of home theater look with 80s styling, but the whole thing just looks awkward and bulky. I would buy something like this as an HTPC. The possibilities for this and the tech created to support it could bleed into other areas. If all I wanted was an HTPC or a customer NAS box, I could tailor the modules I need for just those uses. I have waited for this like 20 years but want more flexibility like x99 or upcoming Skylake-e and more flexibility with how many graphic cards you can put in and memory put in a sas also and lots of U.2 and i would be grateful flexibility is the key otherwise it´s only a special. I don't care what the quality of the board is, just getting a modular one requires some extraordinary engineering. My hat's off to Asus. Has anybody noticed that ram?! And they said it couldn't happen! And it did. Well, right now the actual chipset and CPU support for this board isn't important, because if the project is successful and leads to actual products on the market, we will see multiple motherboards and chipsets. Put simply, Asus isn't going through all of this trouble for a single platform.